One of the first jobs that I have to undertake as your dental solicitor in any dental claim is to obtain your notes and records from your treating dentists. The GDPR has thankfully simplified this process. I will sometimes look through a questionnaire but cannot decide whether a claim is strong enough to run under a no win no fee agreement without firstly seeing your dental notes and records which helps to build up a picture of the negligent dental treatment that you have been provided with. I will sometimes ask a potential dental claim client to obtain their own notes and records in order to gather the information necessary to decide whether I can help you under a CFA/no win no fee agreement. Once you have obtained your notes from the defendant dentist, I will be able to build up a clearer picture of your treatment and advise you whether you have a strong dental claim for dental negligence or not. The process is fairly straightforward. If I ask you to make a request for your own notes and records, you will need to make a request for your notes, records and xrays in writing to the practice manager at your dental practice (an email is fine). The dental practice has 1 calendar month under the GDPR from the date of your written request to supply your notes, records and any xrays to you. You do not need to give the dental practice a reason as to why you need your notes and records and you have a legal right to this information. They are NOT allowed to charge you any fee for this information under the GDPR. If you need to make a subject access request for your dental notes and records, then please take a look at the following template letter, which I am happy for you to use to make your request to the practice. Please ensure that you supply the practice with all of the details highlighted in bold italics otherwise the practice will simply ignore your request and this will delay any claim. You can email the letter to them to save time otherwise you will have to print it out any post it to them. 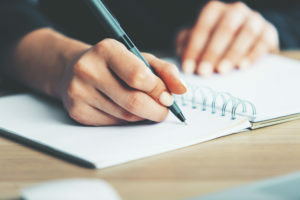 Once you have obtained your notes and you have sent them over to me, I will look at the notes free of charge and provide you with advice on whether you have a dental negligence claim or not. Please supply me with copies of my dental notes, records and any radiographs under Article 15 GDPR. If the information and/or x-rays are in a digital format, I am happy for you to email them to me using the email address above. This is formal subject access request made under the GDPR and should be dealt with accordingly. If you need any more information from me then please let me know as soon as possible. It may be helpful for you to know that a request for information under the GDPR should be responded to as soon as possible but within 1 month of the request at the latest. You are not allowed under the GDPR to charge any sort of fee for supplying me with copies of my dental notes, records and x-rays and any request for fees or payment will be met with a formal complaint to the ICO. Do you believe you are the victim of dental negligence? You may be entitled to claim compensation. Get in touch with Dental Law Claims today to book your FREE dental claim consultation.